If you are looking for garage door installers or repairmen, you might want to learn what an industry expert has to say about business ethics. In an article published in the garage door trade magazine International Door & Operator Industry, Gary Lombard addresses the subject of "up-selling" in the garage door industry. Up-selling is that well-worn sales strategy of trying to sell you more than you think you need. We all experience this sales routine regularly, not just with garage door installers, and it can be frustrating. But it's not always aimed at ripping us off. Just because a professional thinks we need more than we think we need does not mean they are trying to fool us. Sometimes they really are trying to help us. So, how can you distinguish between a legitimate and an illegitimate up-sell effort when dealing with garage door installers and repairmen? Here are some suggestions that Lombard offers for service technicians who have been called on a garage door problem. The suggestions are good ones for the technician, but they also offer the consumer a good means of judging the character and competence of the technician who shows up at their house. Bring a price book containing all of the parts for garage doors and motors so that he can tell the consumer what a repair will cost them. Bring sales literature for products his company sells so the consumer can see what they might be buying. Know what parts he has in stock so that he won't try to sell the consumer something he doesn't have. Carry a good supply of standard common parts (springs, rollers, hinges, weatherstripping and motor operators), so that he can tend to common problems right away. Make an effort to analyze the cause of the problem, and not just the problem itself. This is where up-selling can benefit both the technician and the consumer. For example, say the garage door was hanging up due to one bad roller. The technician could replace that one roller and be on his way. But he could also make a very good case for replacing all of the rollers. This would increase his sale and the repair cost to the consumer, but it might also ensure fewer problems and better performance with the garage door in the years to come. A similar argument could be made for replacing all of the springs when only one was broken. 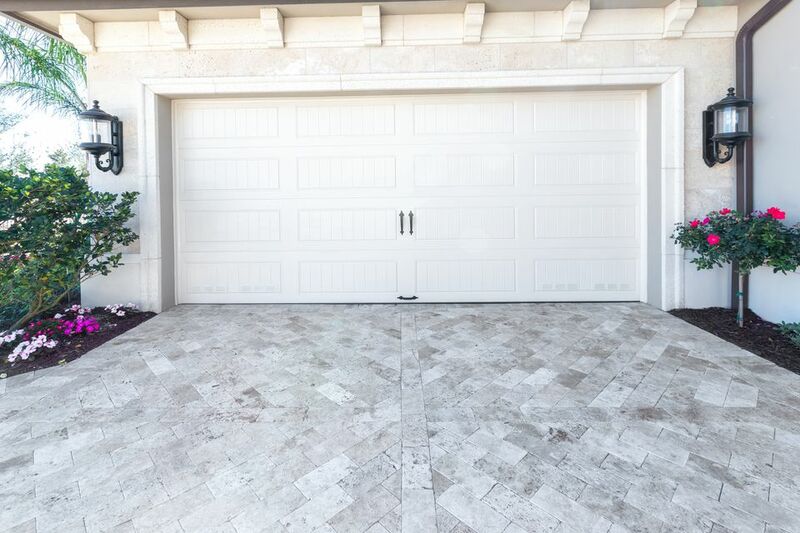 The point is, good professional garage door installers and repairmen should make an effort to explain the long-term benefits of repairing or replacing some parts that currently may not be causing any problem. The consumer makes the ultimate decision, of course, but at least it will be an informed one. Don't try to force the issue. Up-selling enters the realm of unethical when the seller won't take "no" for an answer and continues to pressure the consumer to spend more than they want to spend. Better to just be sure to leave the consumer understanding all of their options and confident that they have paid only for what they really wanted. Make the time to provide the consumer with a full diagnosis and report on options and consequences. If a garage door installer or repairman scheduled the day with quick, back-to-back repair calls, he is not going to have the time to make reasonable, responsible sales pitches to the consumer. Feeling the need to rush to another appointment might well reduce the chance of selling more to each consumer, a result that ultimately benefits no one. Most consumers develop a sense of when someone is trying to sell them something they don't really need, but they also have a sense of when someone is sharing useful advice based on their experience and knowledge. If the garage door installer or repairman you contact about any replacements or repairs fits this latter description, everyone benefits.